The Empty Quarter Gallery is proud to exhibit, during the Year of Zayed until 19 May 2018. 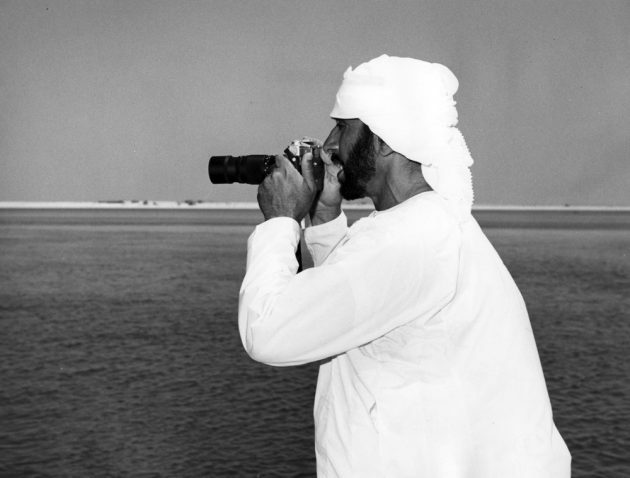 The exhibition shows some finely selected photographs representing the life of the noble leader and father, the late Sheikh Zayed bin Sultan, may Allah rest his soul in peace. The leadership of Sheikh Zayed transformed the Emirates from a life-cycle of subsistence and simple nomadism to the modern united nation which now occupies a forward-looking, gracious position amongst its fellow world states. Sheikh Zayed was born 1918; the first centennial of his birth is now being celebrated with love and heartfelt remembrance throughout the UAE. The Sheikh Zayed photo exhibition opened in a special ceremony on March 19th, 2018 and will continue until May 19th, 2018.